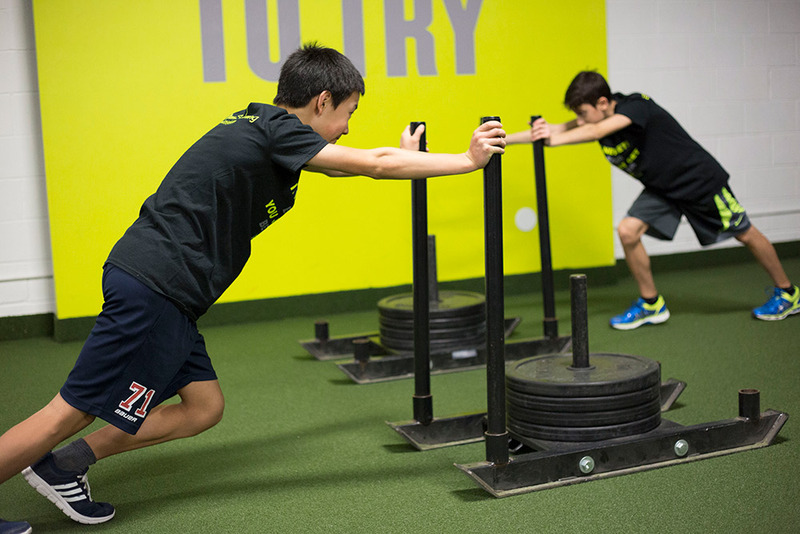 H2T offers some unique options such as personal, semi-private, trio training, and family training. During your first visit, a personal trainer will complete a fitness assessment to give both the client and our training staff a baseline of your fitness level. The fitness assessment will help us design a personalized program based on your specific sport and goals. This program is intended for those who want to succeed, grow, and see real change. Not an elite athlete? That’s ok. H2T trains adults, children, and even grandparents. Let H2T take the guess work out of your boring workouts and create a new challenging workout where YOU WILL be guaranteed to see results. We keep it fun and fresh! Whether it’s team training, open class, or personal training, H2T’s sessions will include plyometric, strength, endurance, and agility training. Our 1-hour sessions are packed with heart pumping, muscle building exercises that will help your athlete reach the top of their game. Let us help you reach your peak athletic performance. There was such a noticable difference in terms of stamina and strength. Hi Sue, just wanted to give you some feedback on Conner's spring hockey tournament this past weekend. There was such a noticable difference in terms of stamina and strength. He played hard in the third periods and throughout the weekend. Rarely did he fall and was able to absorb and make hits, he looked and felt much stronger on the ice. He also seemed to handle the puck more which has something to do with the upper body strength as he wasn't getting pushed off the puck. He scored 4 goals including a hat trick which was awesome. We definitely need to keep the workouts moving forward this spring into the fall. Thanks again for all the help, definitely glad we chose H2T! Voted as one of the top fitness facilities in Ontario, H2T offers a variety of features that will empower any athlete or non-athlete to meet their individual goals and reach their full potential. Everything you need to get to that next level! Book a consult today with one of our certified trainers and see just how much fun it is to jump higher, skate faster, and push further. Let us help you reach your potential and perform at your best. It’s the H2T way.